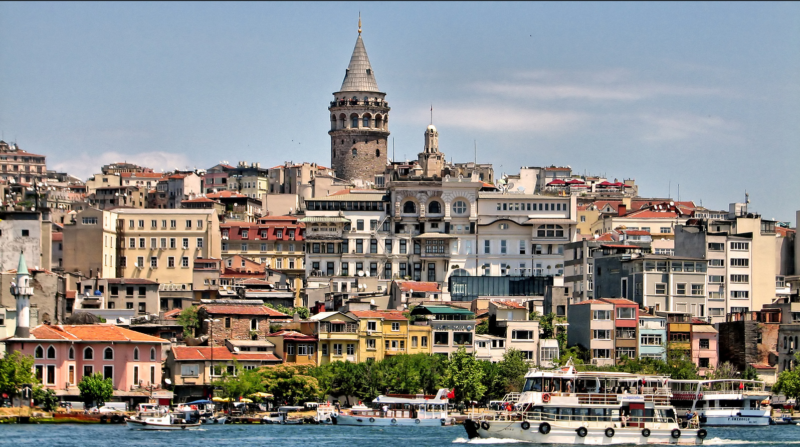 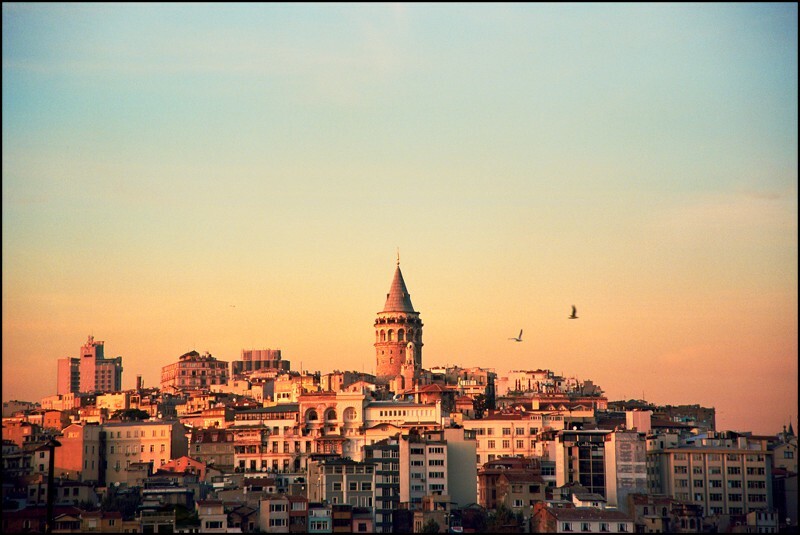 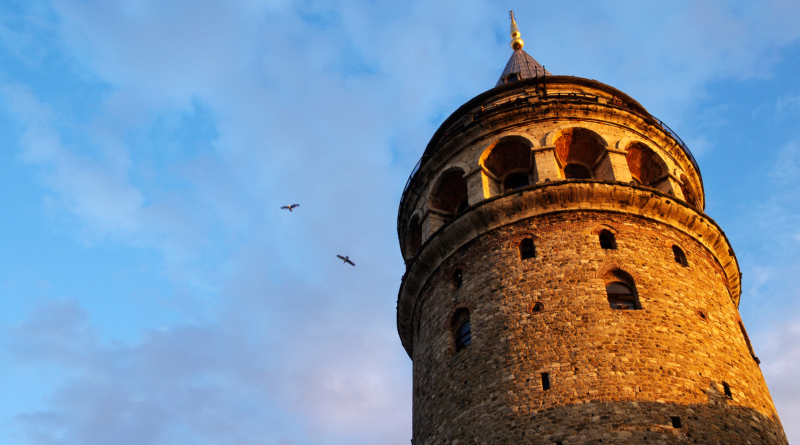 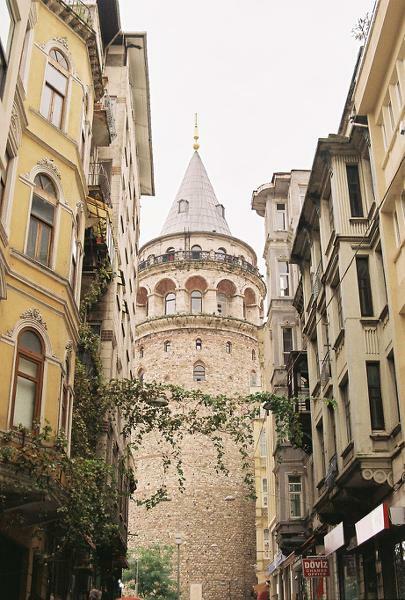 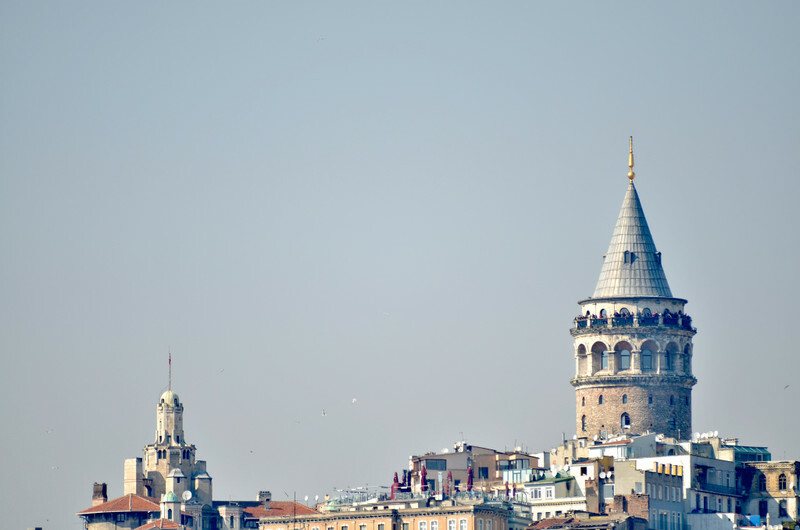 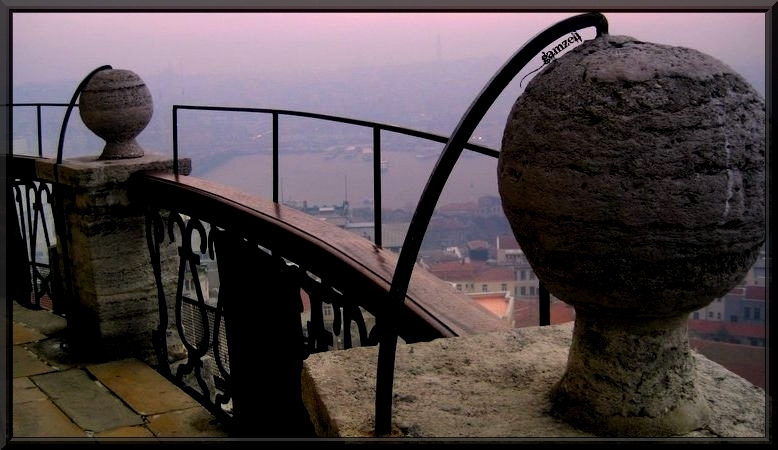 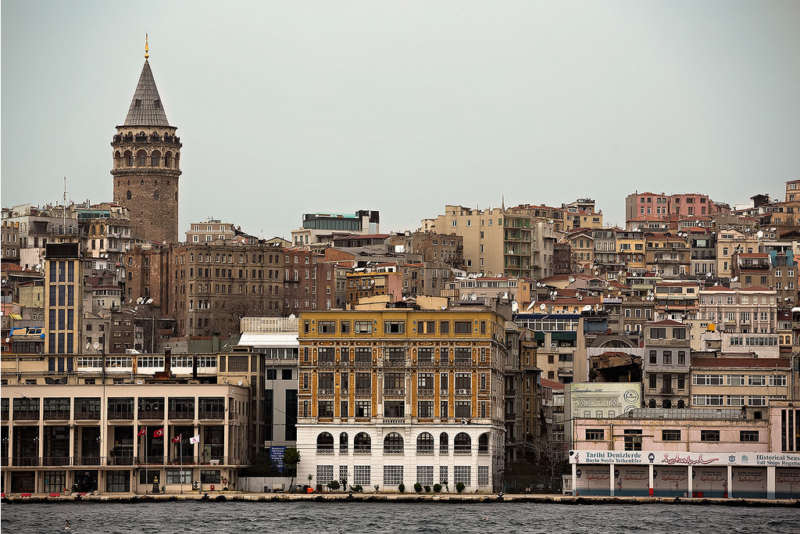 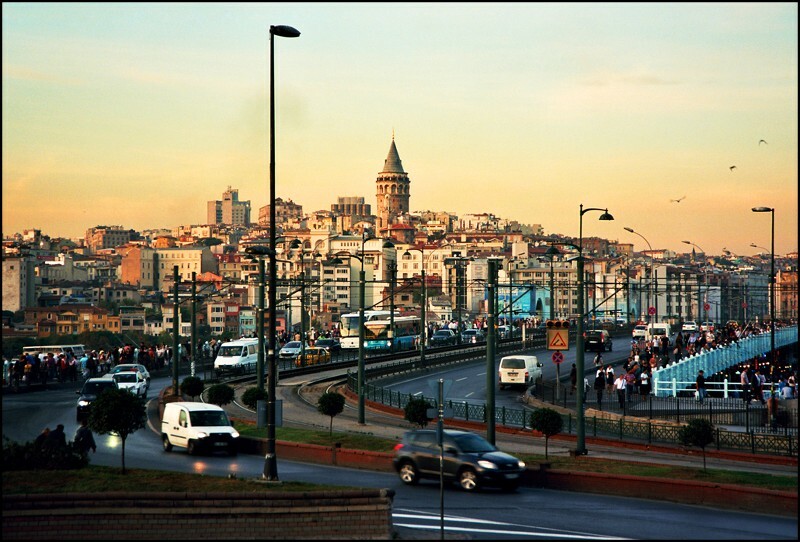 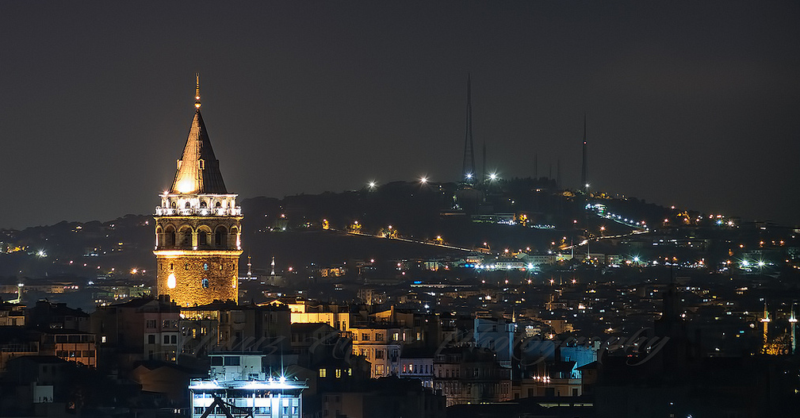 Galata Tower is one of the eye catching land mark of Istanbul for sure. 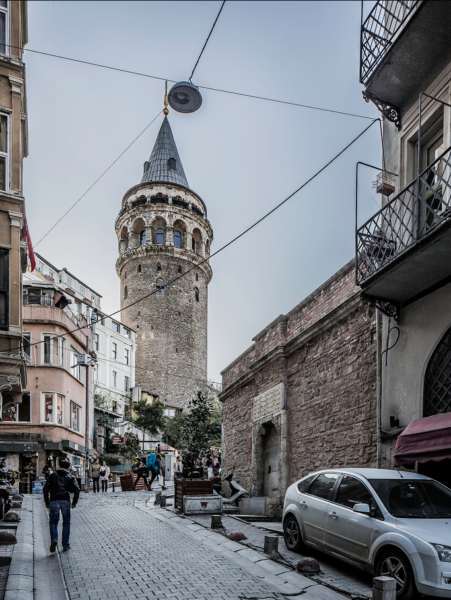 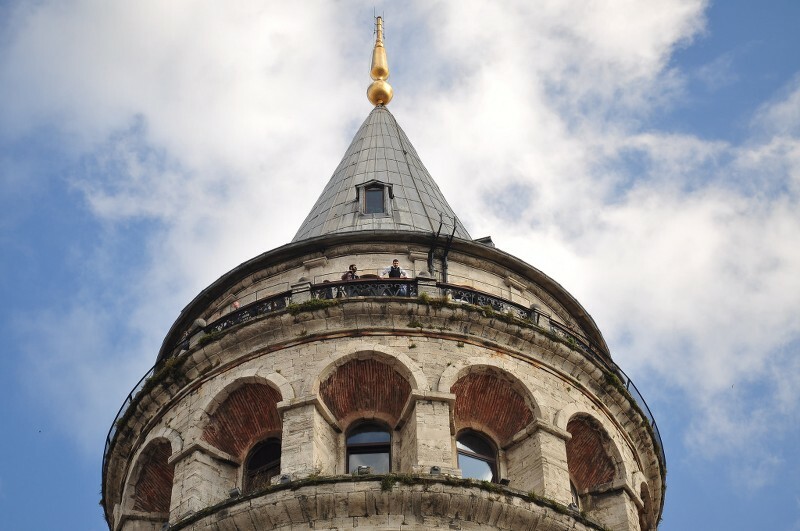 This nine-story tower is 66.90 meters tall and was the tallest building when it was built in 1348 during an expansion of the Genoese colony in Constantinople. 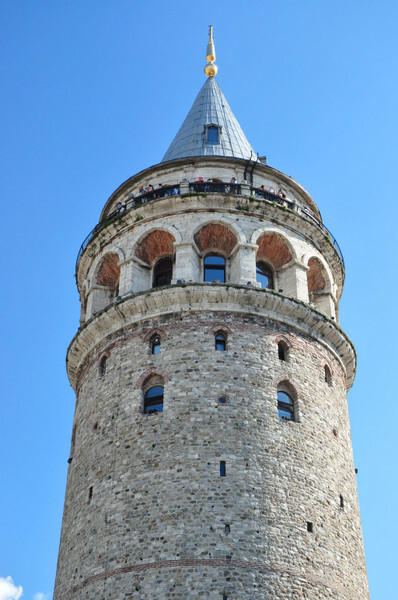 The tower is used to called the Christea Turris (Tower of Christ) by the Genoese and the Megalos Pyrgos (The Great Tower) by the Byzantines. 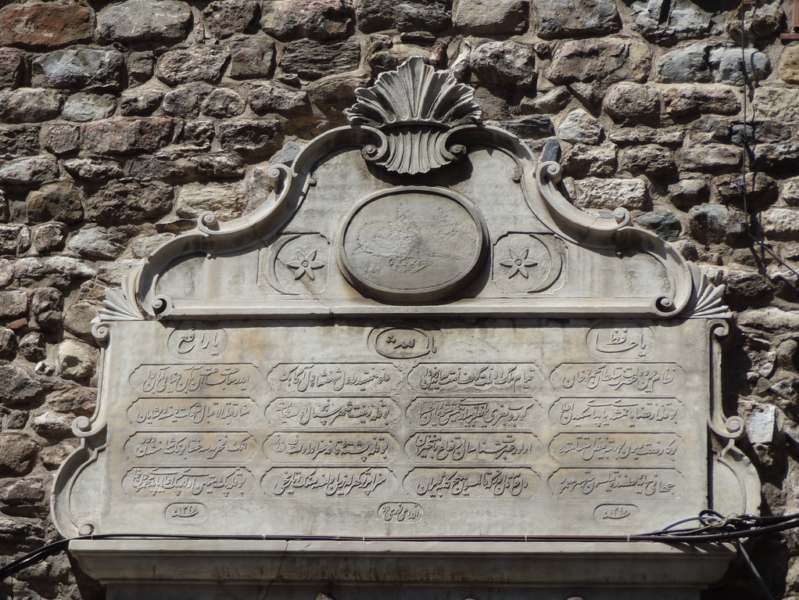 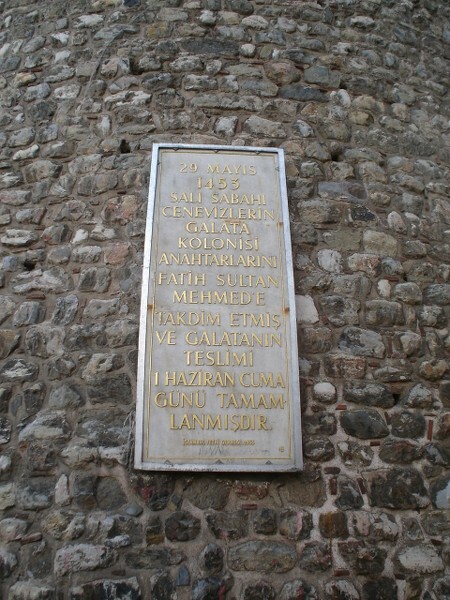 Actually it wasn't the first tower in Constantinople as it was built to replace the Old Tower of Galata (Megalos Pyrgos / Great Tower) which controlled the northern end of the huge sea chain that closed the entrance to the Golden Horn Bay (Haliç).